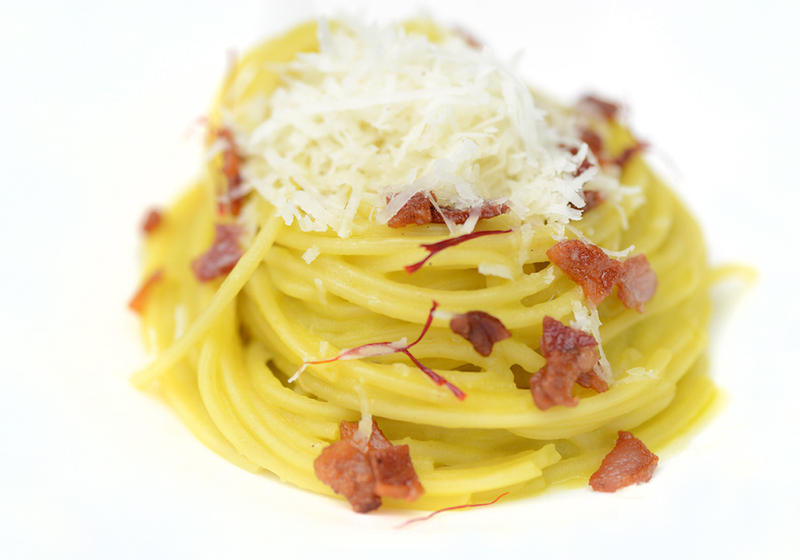 The latest product in gastronomy that enriches the already wide range of Rustichella. From now on, the consumers will be able to taste an excellent dish of Spaghetti in a very short time! 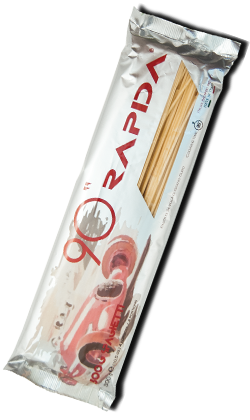 With RAPIDA Pasta, we bring all the tastiness of an artisan pasta to your table in just 90 seconds! 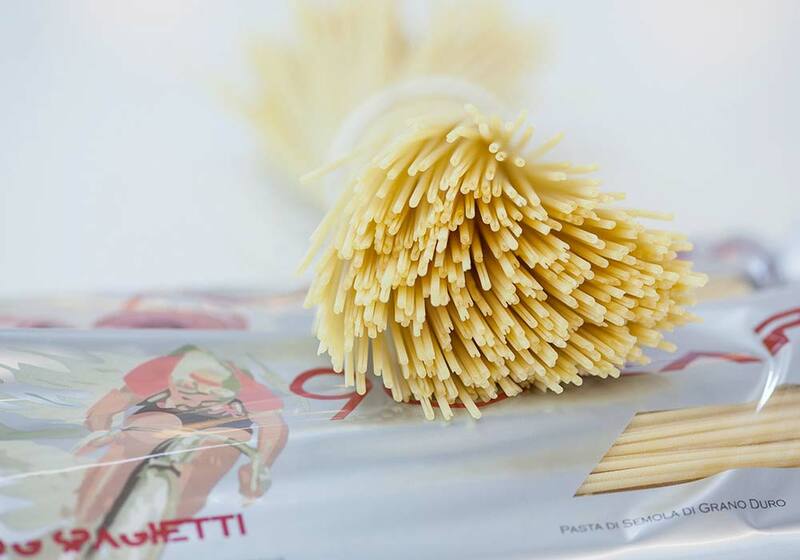 High quality semolina, bronze dies and slow drying process at low temperature make 90 Seconds Spaghetti suitable also for those who are not familiar with cooking: it is EASY, FAST and obviously GOOD! 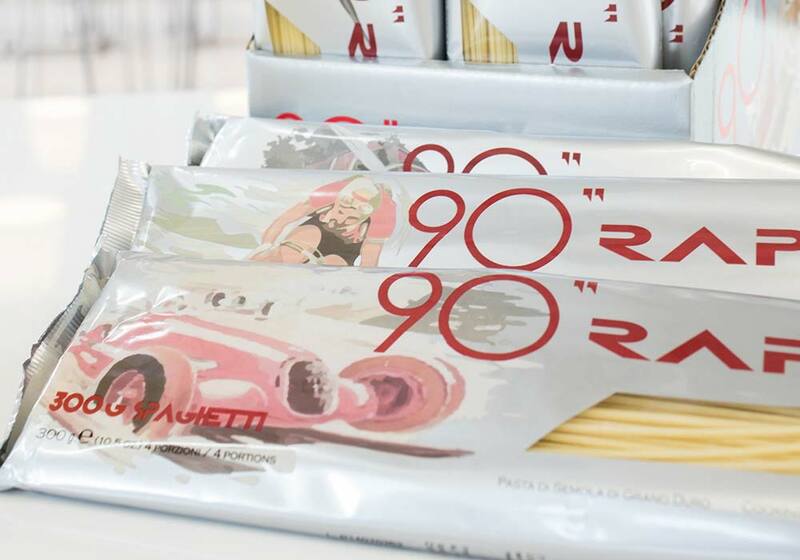 The packaging has an innovative “futuristic” appearance, telling consumers that Rustichella wants to break the misconception that Spaghetti is a slow product that does not fit the frenetic rhythms of everyday life. The innovation of “RAPIDA 90 Seconds Spaghetti” is the very thin (and patented) bronze die in the form of the letter “C”. The result is an excellent product with a very short cooking time, just 90 seconds! It has received a number of international awards, such as the “Global Competence in Food” Award at 2015 Anuga food show (one of the most important F&B events in the world) as Best Packaging, and “Fabi AWARD” at 2016 National Restaurant Association in Chicago.